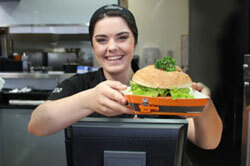 Bucking Bull is Australia’s largest and most successful carvery franchise. Since its humble beginnings in Western Australia in 1999, Bucking Bull has grown to almost 40 stores across the country. The secret ingredient behind to our success? 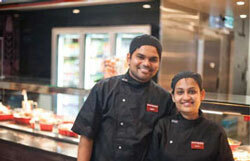 A dedication to providing great value, ‘home cooked’ food that consistently delivers on quality and flavour. Bucking Bull’s legendary roasts have been utilising the same rack-roasting technique for over 15 years, earning the title of the ‘Roast Experts’. Bucking Bull is expanding and we are looking for entrepreneurs who are genuinely interested in being part of our dynamic and exciting business. 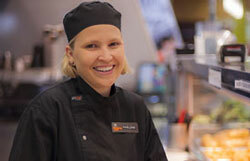 Our Franchise Owners come from all walks of life, and don’t necessarily have food retail or restaurant experience. More than anything we’re looking for passionate and ambitious people who believe that they can create a positive future for themselves from focus and hard work. Take the bull by the horns and contact the Bucking Bull franchise recruitment team by filling out the short ‘Request Free Info Now’ form.